Have you ever had any dealings with the CIA? The CIA recruited at Wharton when I was an M.B.A. student there. During winter vacation of 1979-1980 I typed endless application forms on a typewriter. A couple of months later I got a phone call with an offer to come to CIA headquarters in Langley, Virginia, for two days of interviews. At the moment I got the call I was not in a position to accept this visit offer — something I have always regretted. Years later in 1994 I thought I had arranged an invitation to visit the CIA when I would be in D.C. for another reason. Unfortunately, that was the week that the mole in the agency — Aldrich Ames — was discovered and the CIA was in lock-down mode. I still have hopes of someday visiting Langley. "... He shook hands and inclined his head, then walked out of the office. In the hall he smiled. He had passed the first test. Langley, Virginia, 1997 — “We have no choice,” George MacIntosh said, eyeing the authorization lying on his desk top. “He’s coming from Berlin ..."
"... Speedy Delivery — and ask for help. Frederick would help him. It was the American way. ** Langley, Virginia — “I don’t understand,” George said. Kathleen watched him tap his pen against his blotter and shift his weight in his desk chair. ..."
"The story moves fast, is filled with action, intrigue and mystery. 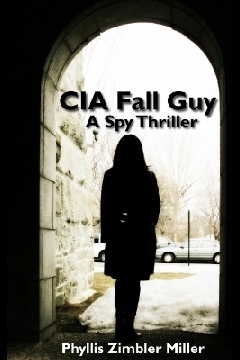 Readers of spy stories will enjoy this novel. ..."